Turmeric is reckoned as queen of spices by many due to its varied and wonderful health benefits. Not only health this spice has great positive impact over one’s looks as it improves glow and health of skin. When consumed turmeric fights back bacteria and other hazardous toxins which cause skin problems and also make it dull and dark. A glass of turmeric milk is full of health and tasty too. Simple method of preparing a glass of turmeric milk may not taste delicious to many in fact its taste can repel many, but here we will provide turmeric milk recipes which will provide a tasty glass of turmeric milk which most of us can relish. 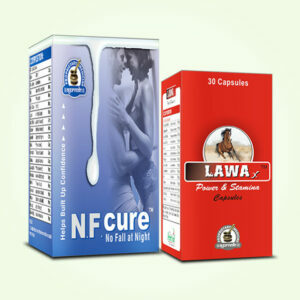 Turmeric possesses curcumin which is mainly responsible for variety of health benefits. It is a rhizome which in many cultures is also eaten as vegetable, even in western world in many places raw turmeric is popular salad ingredient. Turmeric is also reckoned as healing spice. It can check bleeding and cover wounds quickly, even on external use this spice can stop blood flow and heal wound faster. As internal remedy it is great for treating ulcers and other kinds of bleeding wounds and injuries to protect organs and overall health. This spice possesses powerful anti-inflammatory properties. Swelling in internal organs can harm health and cause system malfunctions. Use of this spice in diet keeps organs free from stress and inflammation caused by allergies, infections or toxin activities. Homemade spiced turmeric milk is tantalizing and beverage which is healthy for people of all ages. Turmeric is powerful immunity booster. It enhances body’s ability to fight back bacteria, fungi, viruses and other allergens and infectious agents. It is also nutritious and comes loaded with many essential enzymes, amino acids and other compounds. 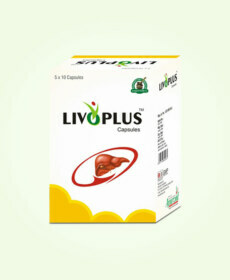 Use of turmeric regularly helps body in keeping liver free of toxins and fat deposition. 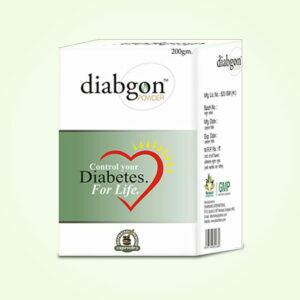 The compounds found in this spice are excellent for clearing excessive presence of toxic compounds which damage liver tissues and make it fatty. Homemade spiced turmeric milk provides optimum dosage of this spice to keep health sound and skin healthy and nourished. It is also enriched with antioxidants which speed-up cell generation and also protect them from damages caused by free-radicals. There are many benefits of this spice which get compounded when consumed with other health promoting ingredients of turmeric milk. 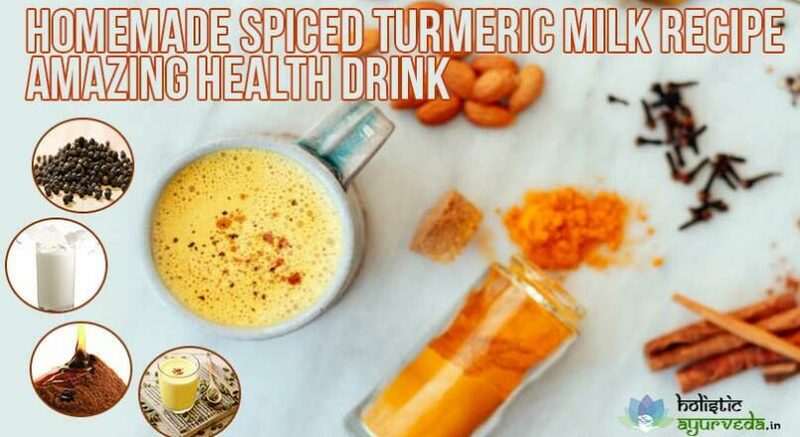 Here is one of the simple turmeric milk recipes which provide a glass full of nutrition for sound health. Take two cups of homemade almond milk, one cup of organic honey, one stick of cinnamon or teaspoon of cinnamon powder, one teaspoon of ground turmeric, one tablespoon of coconut oil and fresh grated ginger and black pepper powder. Put all the ingredients except honey to a bowl and bring the mixture to a light boil. Take it off the flame and let it become bearably warm. Strain the milk and add honey, stir and drink this one power-packed drink for sound health. It is the best if you consume turmeric milk warm as it gets digested quickly and no nutrition is lost. You can try this turmeric milk recipe with little variations to keep taste alive. Boil almond milk alone and put 3 to 4 crushed pods of cardamom, when mixture comes to a boil add other ingredients as usual and bring it to another boil and let it simmer. The aroma and taste of cardamom will further enhance overall deliciousness of drink. You can also add coconut oil about two tablespoons or extra honey to make it taste better. In combination with cinnamon, almond milk or cow’s milk, honey and black pepper etc., the benefits of turmeric multiply. The glass of spiced turmeric milk is many times higher in nutrition and support than normal glass of cow’s or almond milk. Turmeric along with these ingredients works as tremendously beneficial detoxifier and clears toxins from blood and which get absorbed in the tissues of organs. 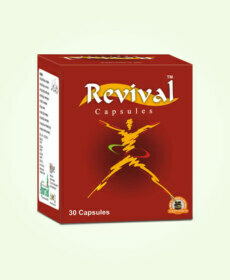 It also speeds-up metabolism to keep issues like high cholesterol under control. For another homemade turmeric milk recipe collect ingredients which are one-fourth teaspoon of turmeric powder, one-fourth teaspoon of grounded cardamom or cardamom powder, one cup of cow’s milk, one-eight teaspoon of black pepper, one pinch of allspice, 1 teaspoon of honey, one-eight teaspoon of vanilla extract and one pinch of ground cloves. Put few drops of milk in a bowl and add black pepper, cardamom, allspice and ground cloves, whisk the mixture to mix all the ingredients well. In another bowl keep the milk to boil, when it is about to boil add the mixture of spices which you made, let the mixture come to a proper boil and put off the flame, add turmeric powder and honey and let mix them with the milk, let the mixture sit till it becomes warm and strain. 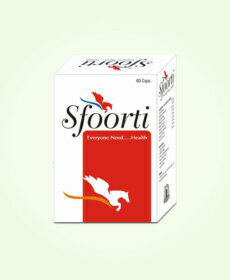 Consume this warm to gain dose of vital nutrients and maintain sound health.